Let's start with the obvious. The task I've been asked to undertake with this list is fundamentally absurd. Houston's restaurant community is so diverse that declaring 10 dishes as the most iconic will naturally exclude dozens of dishes that other people might consider to be utterly essential. Also, aren't some of these dishes so obvious as not to be worth including? Does anyone really need me to tell him to eat fajitas at Ninfa's or turtle soup at Brennan's? The question of relevancy must also be raised. Should I select truly classic dishes from restaurants that may no longer be contributing to the contemporary culinary conversation or do I focus on new classics and risk that the restaurants in question may not be around in five or 10 years? Furthermore, the city has worked so hard to shed its reputation as nothing more than burgers, steaks and Tex-Mex that the bold choice is clearly to exclude those categories entirely. Others have compiled lists like these before. Here's Underbelly chef/owner Chris Shepherd's list of 20 contemporary classics in Texas Monthly. 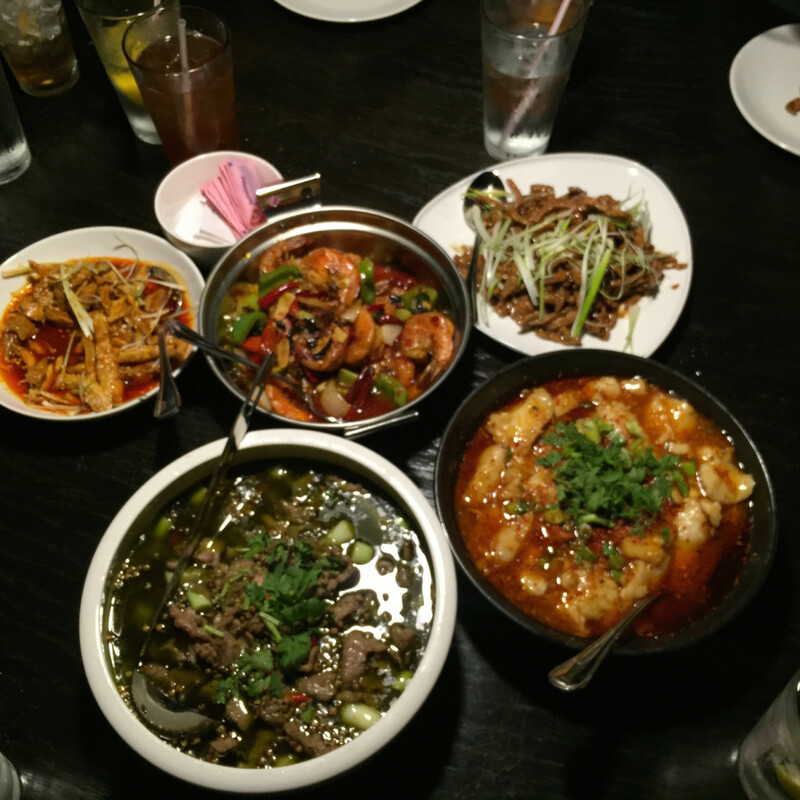 Or consider this collection of 25 dishes that Eater compiled in January. Then again, as Ferris Bueller, one of my favorite contemporary philosophers, so memorably quipped, "Life moves pretty fast. If you don't stop and look around once in awhile, you could miss it." In this context, I'd suggest that means erring on the side of caution and including at least some of the older, more obvious selections. After all, new people move here all the time. If no one tells them to go to Ninfa's, maybe they'll never discover it. That would be a shame, because it's still great. 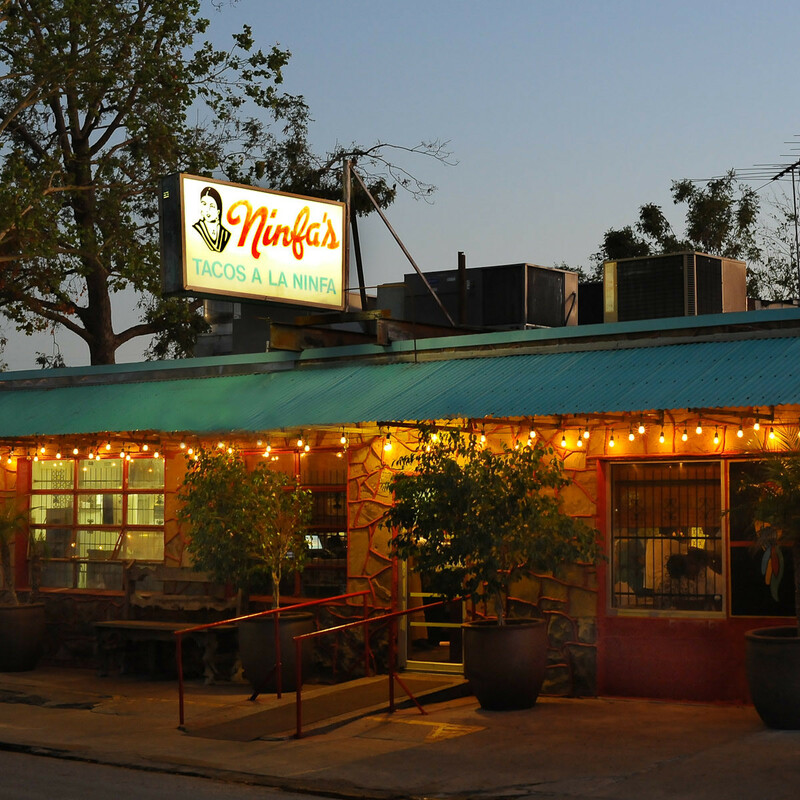 One other factor I considered: The item must be either unique to Houston or tied to our culinary history. That rules out dishes like pizza, sushi and steaks where even our outstanding local examples aren't substantially better than those in other cities of comparable size. It also rules out dishes like turtle soup at Brennan's, which, although excellent, is a New Orleans import. 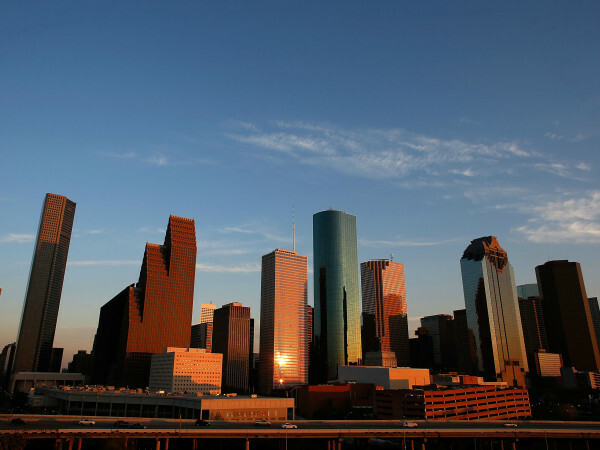 Consider this list an attempt to balance all of those competing interests and create a "greatest hits" of Houston food that meets the following criteria: useful to newcomers, contemporary enough to be relevant, not derivative of what's come before and maintains a strong sense of place. Not picking a burger is probably a cop-out, but even I'm not foolish enough to try to declare one to be the most iconic, must-eat specimen from the city's incredibly rich array of choices. Vietnamese cuisine is undoubtedly one of Houston's greatest culinary strengths, so much so that Anthony Bourdain is planning to film an entire episode of Parts Unknown around it. 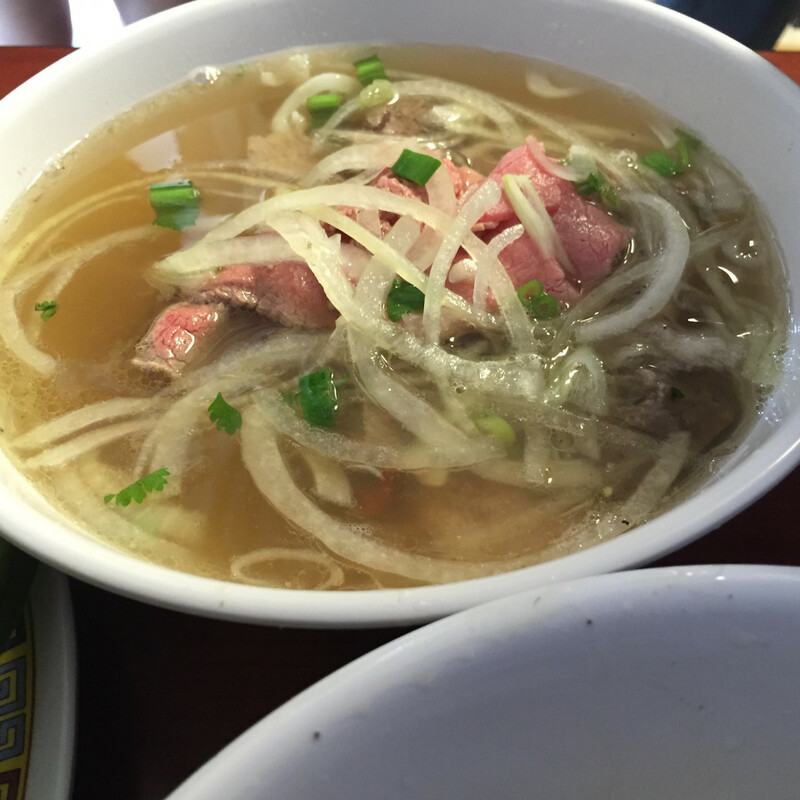 Pho, the brothy, aromatic soup that includes herbs, beef and rice noodles, has emerged, along with banh mi, as Houston's favorite Vietnamese dish. 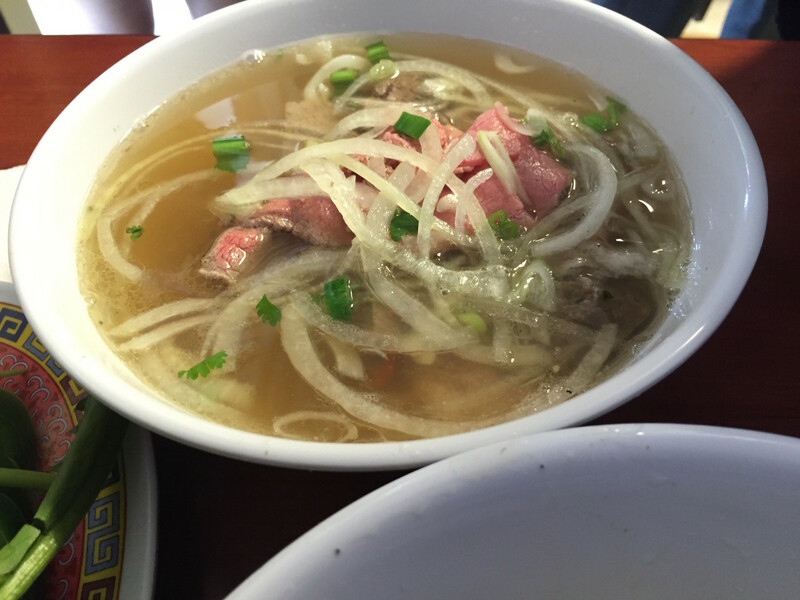 Although all Pho Binh locations are not created equal (different family members use slightly different techniques and seasoning), Pho Binh by Night delivers both the addictive, spice-laden broth and the ability to up the flavor wth a side of rich, fatty bone marrow. That soup and late night hours have made it a destination for members of Houston's restaurant community, who can frequently be found slurping down the broth after their shifts. 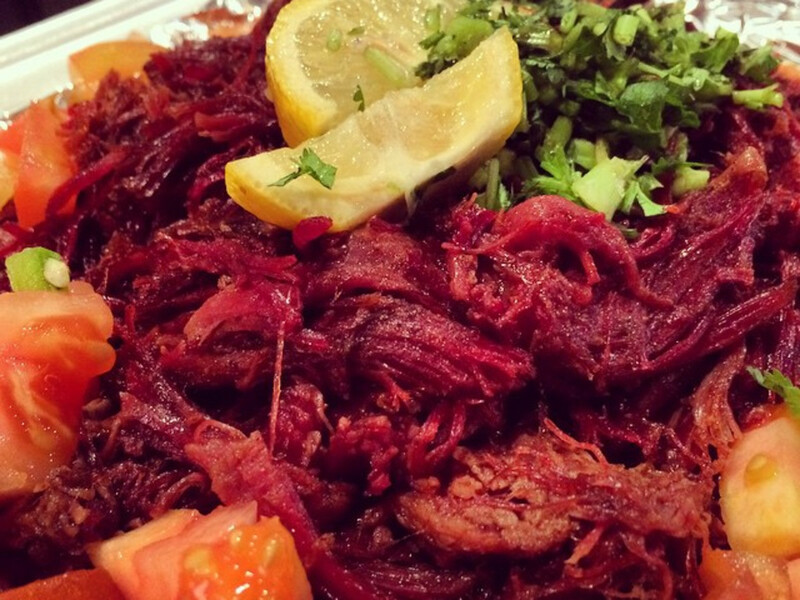 Picking one dish to represent Kaiser Lashkari's creative, Indo-Pakistani cuisine is difficult, but no other restaurant in town serves its signature Hunter's Beef. Pitched as Pakistani pastrami, Lashkari cures beef in a mixture of garam masala, saltpeter, ginger and garlic and is brined for 11 days before being steamed and baked. The results speak for themselves: a dish with a mixture of flavors that's hard to define but utterly addictive, especially when combined with a little mustard. Although its available cold on a sandwich, the hot preparation that's fried with chili powder is even more intense. 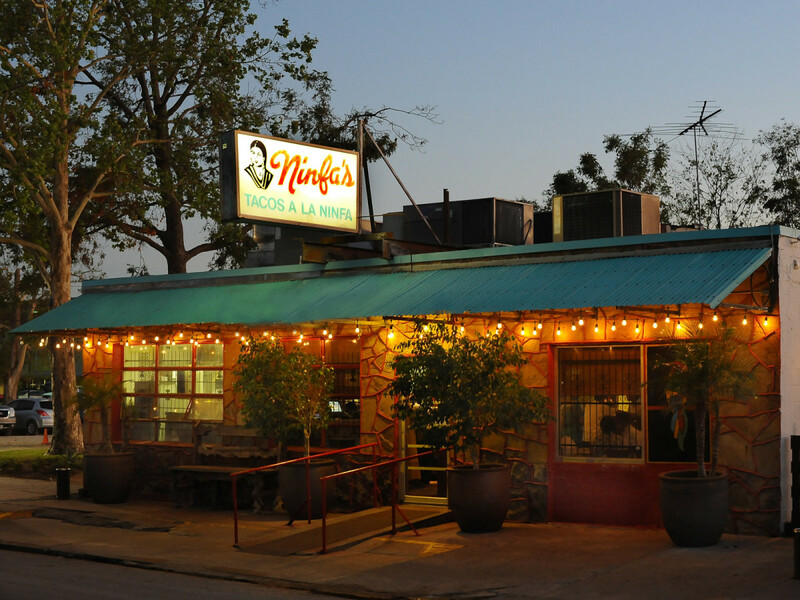 Perhaps Houston's greatest contribution to the culinary world came in 1973 when Ninfa Laurenzo served outside skirt steak on a sizzling comal with freshly made flour tortillas. Now thousands of restaurants all over the world serve fajitas, but Ninfa's remains the iconic version. The skirt steak's aggressive, beefy flavors get balanced by spice and acid from pico de gallo and creaminess from guacamole. Add grilled onion for sweetness to taste. Even though the restaurant has been remodeled and executive chef Alex Padilla has expanded the menu a bit, every time I step through the door I remember childhood visits when Mama Ninfa herself sat near the entrance and greeted patrons. Two or three times a year, I take a break from carnivorous excess and treat myself to the vegetarian menu at Oxheart. 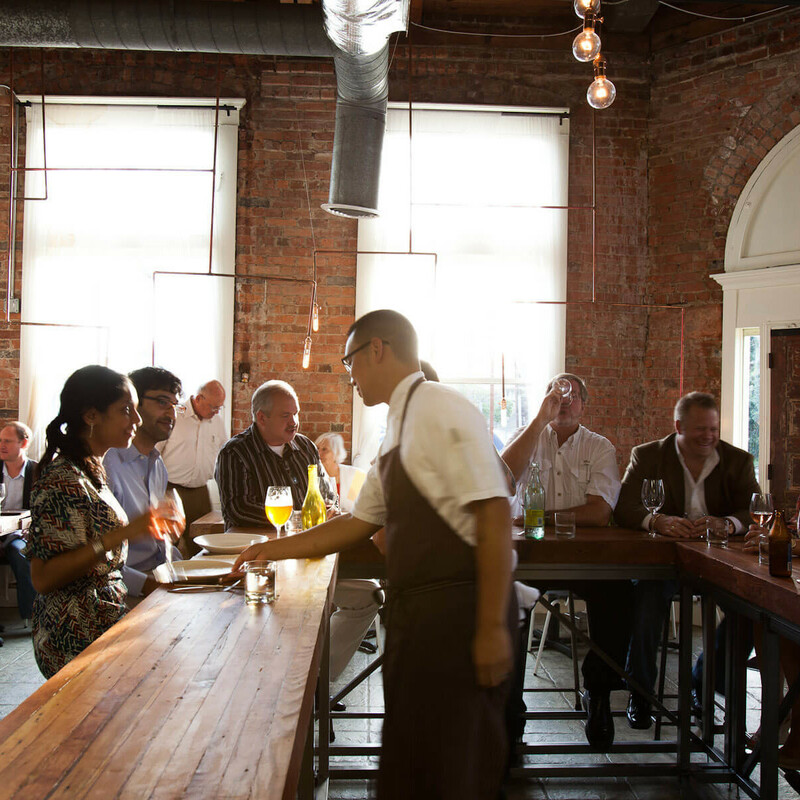 Three-and-a-half years into its run, one might be tempted to accuse the 30-seat restaurant in a sliver of a space in the Warehouse District of resting on its laurels, but, in my experience, it's never been better. 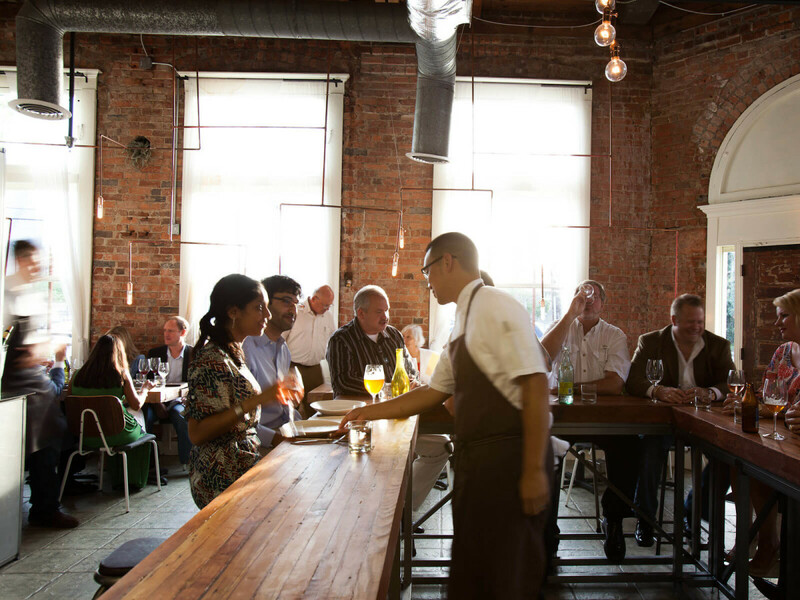 Executive chef Justin Yu has developed a better feel for Houston's seasons and cultivated a network of purveyors who supply him with the freshest, highest quality produce. They yield a six-course tasting menu of colors, textures and flavors that are unlike anything else in Houston. Maybe it's not for old school diners who object to pulling their own silverware between courses or turntable soundtrack, but that just means getting a table — or, ideally, a seat at the counter with a view of the kitchen — is a little easier than it used to be. Sometimes, simple is best. 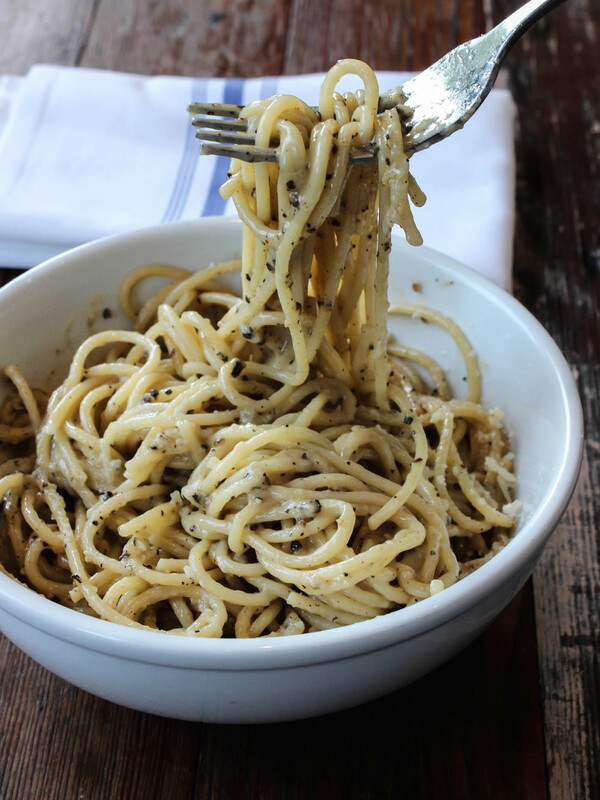 Such is the case at Coltivare, chef Ryan Pera's Italian-Southern restaurant in The Heights, where a dish that's listed simply as "Spaghetti, black pepper, parmigiano, black pepper" is one of the most cravable bites in the city. 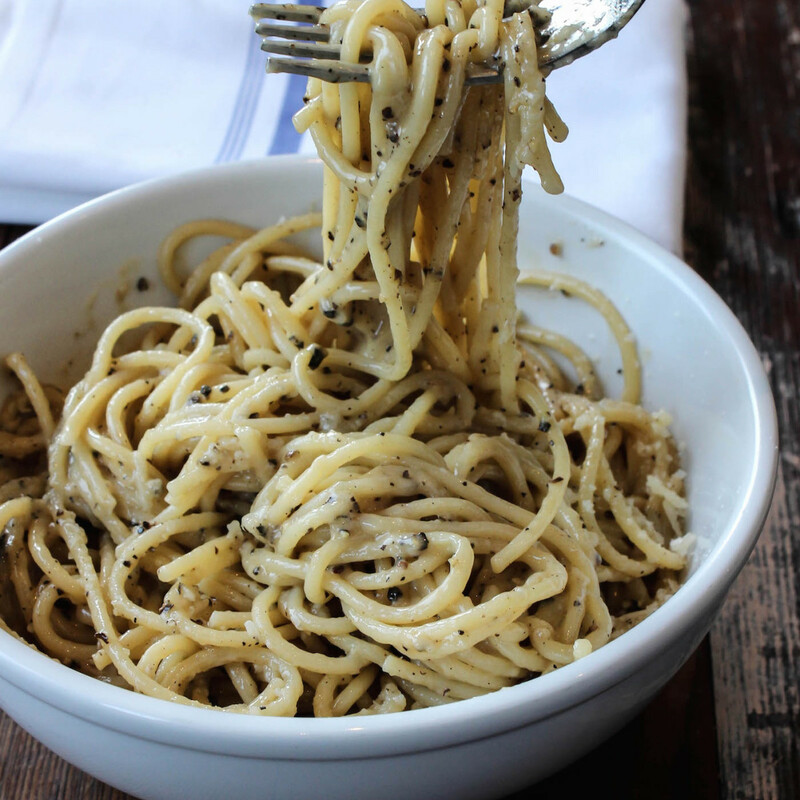 The secret is in combination of high quality olive oil and cheese, freshly made spaghetti and the utterly massive amount of Tellicherry pepper in each bowl that delivers a tingling, pungent spiciness. Once, a prominent Houston chef tried to send me a bowl from across the room, but I had already ordered it. 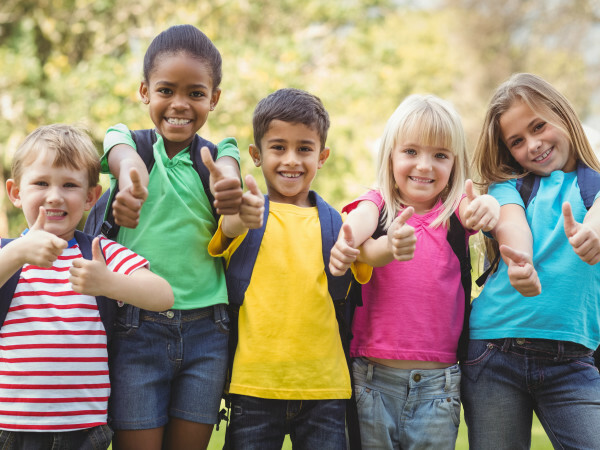 Want to mitigate Coltivare's notorious waiting times? Try going on Monday or Wednesday instead of the more crowded weekends. As with Himalaya, picking one dish to represent Hugo Ortega's immense culinary accomplishments seems somewhat absurd, but leaving the man would almost constitute journalistic negligence. Ostiones Asados, wood-roasted Gulf oysters with chipotle butter, represent the way Ortega has elevated Mexican cooking in Houston. The roasting preserves the oyster's natural balance of briny and sweet while adding a whiff of smoke. The chiptole butter adds richness and a little spice, which brings the entire bite together. Best of all? They're half-price from 3 pm to 7 pm Sunday through Friday. Bellaire Boulevard has long been home to Chinese restaurants that demonstrate that General Tso's chicken and egg rolls are a poor representation of the country's rich culinary history, but Mala Sichuan has set itself apart by mastering the tricky balancing act of delivering authentic flavors with Western-style presentation and service and become a favorite of Houston's service industry heavyweights. 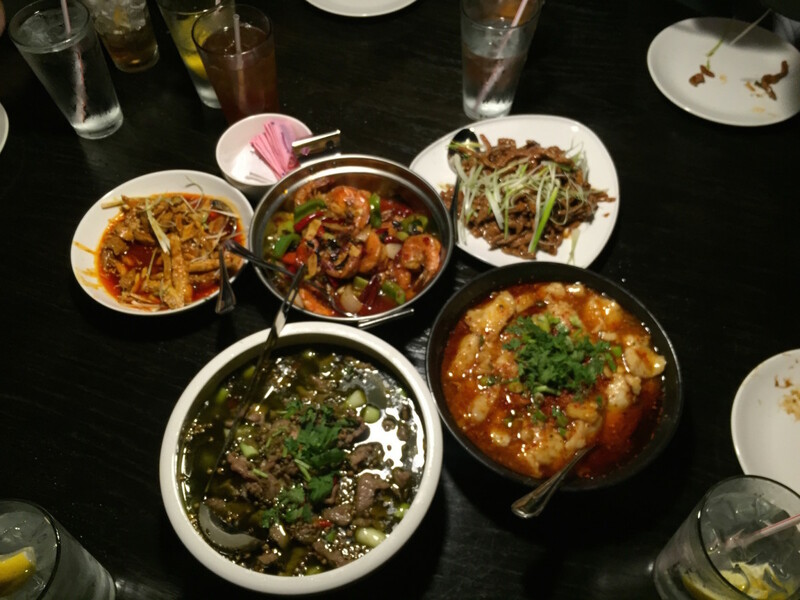 Any of a dozen or so dishes would have represented the restaurant well, but the water-boiled fish offers both a unusual preparation and the signature "ma-la" tingle that comes from fresh Sichuan peppercorns. Tilapia may not be a glamorous fish, but it's firm flakes and mild flavor serve as a good vessel for the sauce. 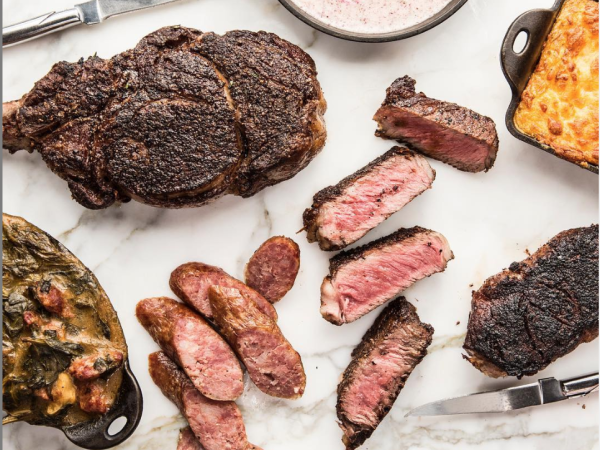 Houston has seen the rise of Central Texas-style barbecue joints but picking, for example, the beef rib at Killen's over the brisket at CorkScrew or the pork ribs at Gatlin's felt false. 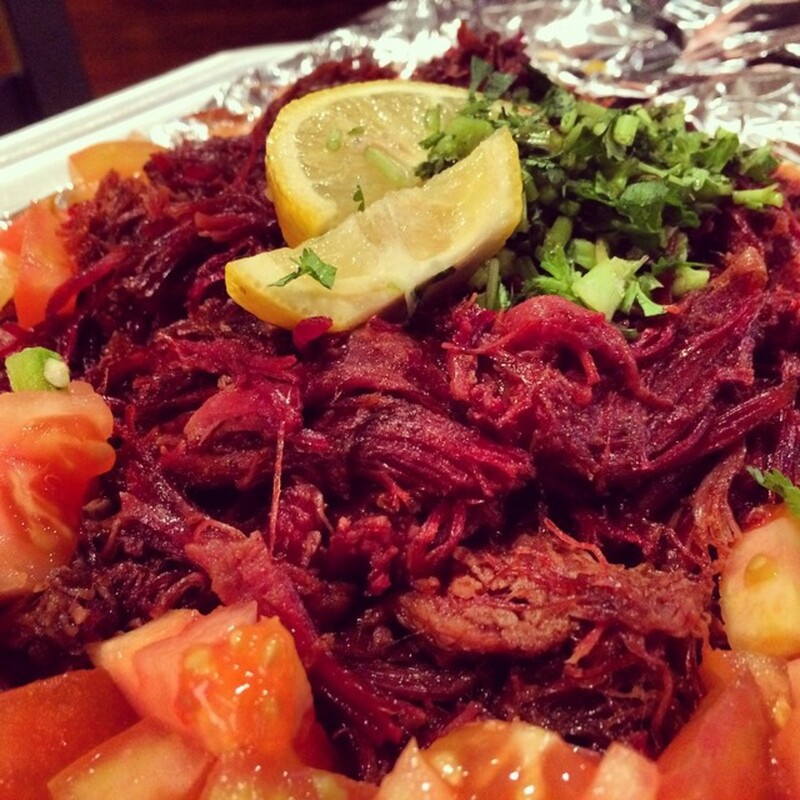 The barbacoa at Gerardo's belongs to an older tradition. While other restaurants are content to mix just cheek and tongue meat for their barbacoa, Gerardo's steams whole cow heads for hours until the meat becomes tender and gelatinous. Cheek, tongue, brains and eye all combine to deliver an incredibly beef flavor that's enhanced by the sweetness of raw onions and given some zing from homemade salsa verde. The process is so time-consuming that it's only available Friday through Sunday and so popular that people line up to get their fill. National chains like Dunkin' and Krispy Kreme have made a big push into the Houston market, and fancy newcomers are trying to elevate the simple breakfast treat. While they have their merits, nothing quite matches the elegant simplicity of a Shipley's original. When a glazed yeast donut emerges fresh from the fryer, its incredibly light texture and sweet flavor are so irresistible that CultureMap executive editor-at-large Shelby Hodge has been know to eat two in one sitting. ​Although I declined to include an explicitiy Creole dish by leaving Brennan's off this list, no one can deny the influence that Louisiana has had on Houston's culinary traditions. Rather than find a gumbo or po-boy to represent that heritage, I'll go with the Cajun-style fried chicken at Frenchy's. The mix of spices will make one's lips tingle but is never overwhelming, and Frenchy's popularity, especially at its original location in the Third Ward, means that every piece is always hot, fresh and crispy. First-rate sides like dirty rice and red beans and rice further enhance the experience. What essential dish can you not believe isn't on this list? Let us know in the comments.